Map showing the position of Queensland to the Australian Colonies, India, China &c, 1866. Engraved for the Queensland Government by Thomas Ham & Co, Brisbane. One of 14 plates contained in the Atlas of the Colony of Queensland, Australia. This map shows the relative geographical position of India and Australia, both subordinate elements of Empire. Queensland, the Pacific and Asia share a distinctive geography and history. Queensland is geographically part of the Pacific, separated only by the boundaries of modern nation states. Over the past thirty years three rapidly growing urban areas in south-east Queensland have merged into a two hundred kilometre long city. How people understand the landscape. 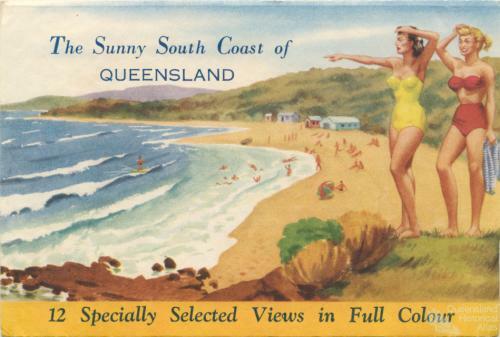 How Queensland is a distinctive landscape and culture.